For Chicago, responding to the Request for Qualifications proved to be a galvanizing, vision-honing exercise that brought individuals, organizations, and sectors further together. 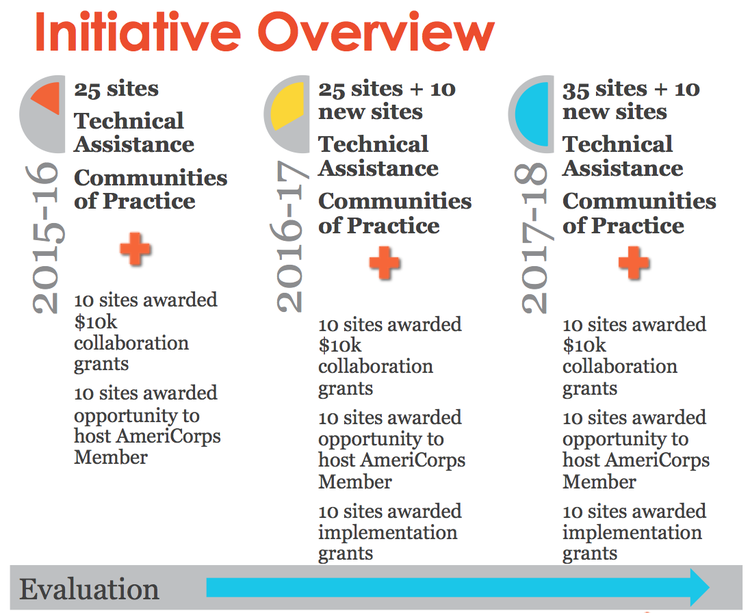 The application process was led by Project Exploration, and provided the opportunity to hone the Chicago STEM Pathways Cooperative’s mission and vision, engage new and existing stakeholders, and better define the needs, opportunities, and challenges of Chicago’s STEM Learning Ecosystem. The first meeting of this group of supporters and leaders will be held in September 2015. As a selected ecosystem, The Chicago STEM Pathways Cooperative will receive ongoing technical support, regular meetings with representatives from other cities, and will be hosted at a kick-off meeting at the White House in November. Additionally, the work will be ongoing in Chicago, with regular convenings, data gathering, and community building as the year progresses. Ultimately, the work of the STEM Learning Ecosystems cohort will inform the STEM education field about creating connected STEM-rich learning opportunities for youth and families across the educational continuum throughout the educational lifespan of individuals – which is lifelong. Any individual or organization contributing to STEM learning in the city of Chicago is a member of the STEM Learning Ecosystem, and all are welcome and encouraged to participate in this work. Please contact us to get involved.